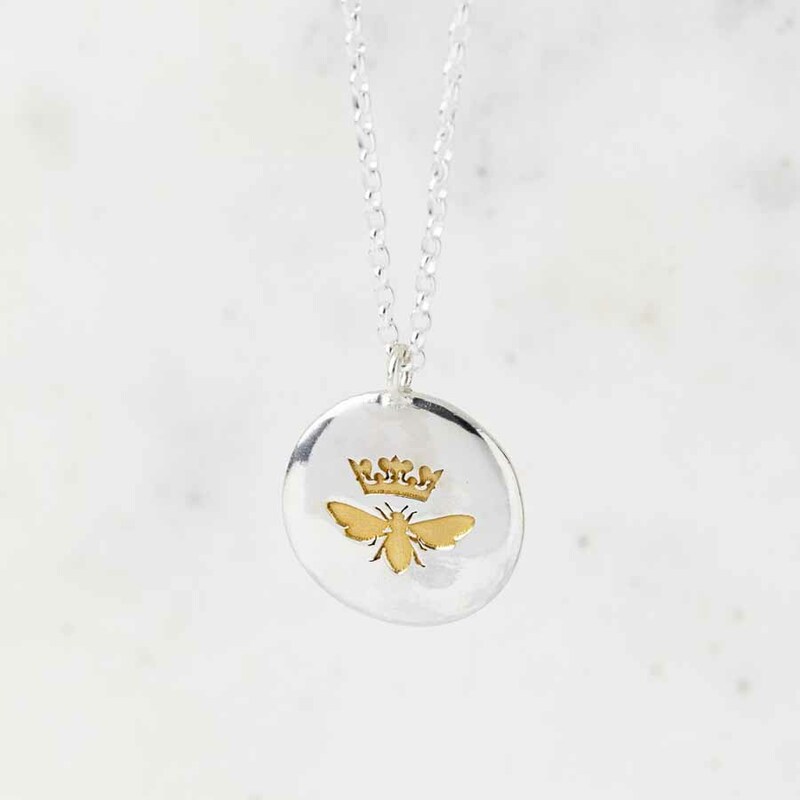 A solid sterling silver necklace featuring a Queen Bee motif highlighted using 24ct gold – a perfect gift for the Queen Bee in your life! 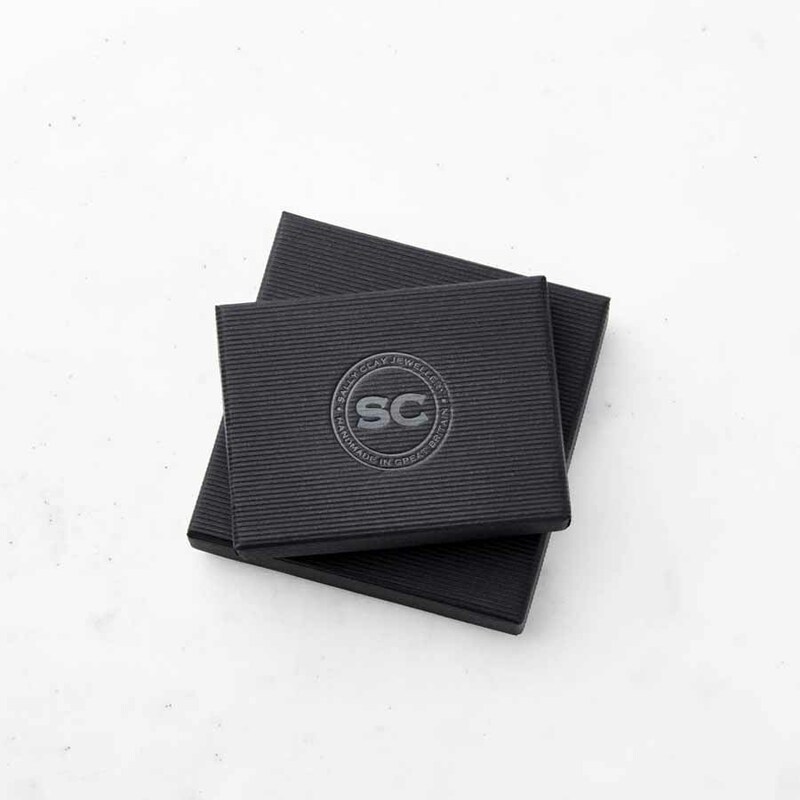 A short message can be engraved on the back of the pendant, your own words – names or a dates to create a personal thoughtful piece of jewellery that will be treasured always. 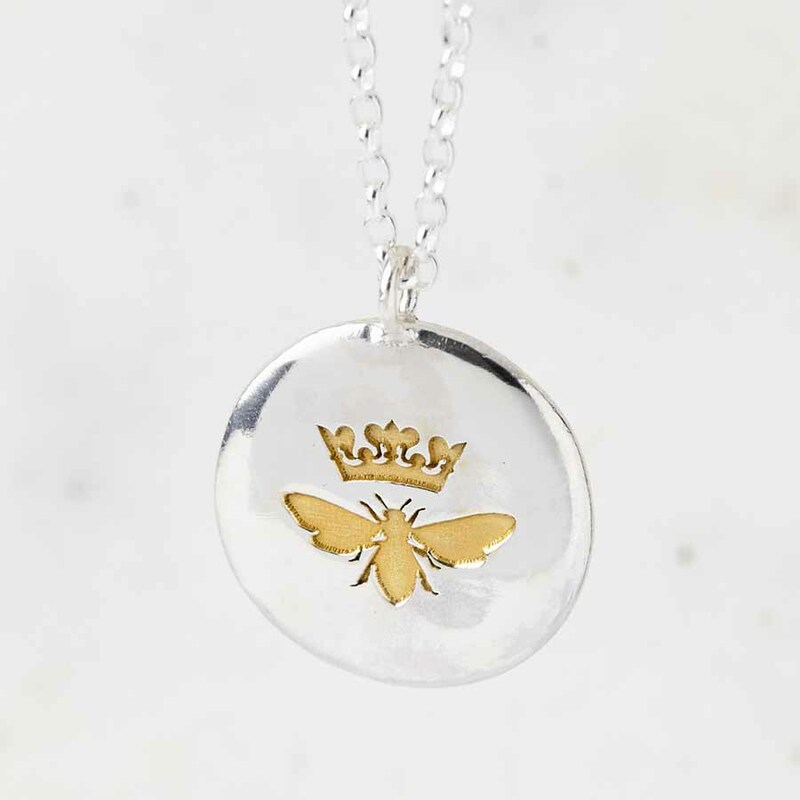 This is a perfect gift for the Queen Bee in your life! 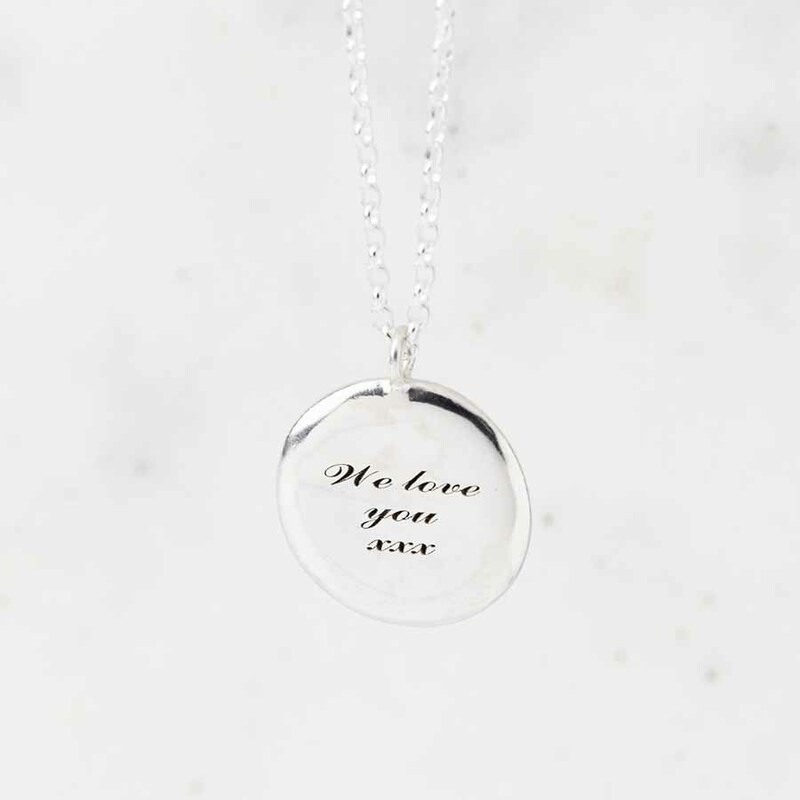 Great for mums, with a short message from her family on the back. Equally suitable for your wife or girlfriend, daughter or granny – or perhaps your mother in law! This necklace is handmade to order in our studio. A sterling silver chain measuring 51cm is included in the price. We have longer or shorter chains if you would prefer, please just get in touch to enquire about these.